For a unique beach holiday, few destinations compare to the beauty found in the Canary Islands, or Gran Canaria. 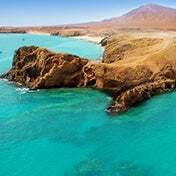 This volcanic archipelago is known for its contrasting white and black sand and is one of Spain’s farthest territories, located just off the coast of Africa. 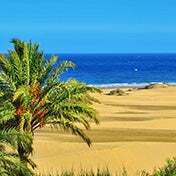 A vacation in the Canary Islands offers visitors sun year-round, optimal conditions for water sports and breath-taking beaches like la Candelaria and Puerto de la Cruz in Tenerife or Maspalomas in Gran Canaria. 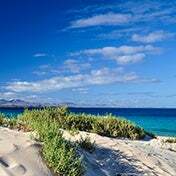 Get to know the Canary Islands with eDreams and discover why it’s one of the most popular destinations among tourists. With its convenient location filled with restaurants and shops, playa de las Canteras is the perfect beach for a family fun day. Children can play along the long stretch of sand or swim in the beautiful clear ocean waters as parents bathe in the sun light with cocktail in hand. The ocean’s seabed is also captivating and worthy of a view. Natural pools, stunning dark volcanic rock and magnificent caves are part of the landscape at Charco Azul. The diversification found on this beach is one to be experienced. Visitors journeying to this beach will also be impressed by the incredible blue waters. 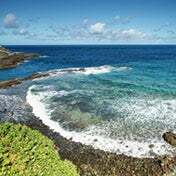 Tenerife is one of the trendiest of the islands and the area’s beach, Las Americas, follows suit with crystal clear waters, dance clubs, hip restaurants and beach bars. This beach is guaranteed entertainment day and night, making it a great destination for those who love to party on a holiday getaway. Water sports enthusiasts have found their dream beach destination in Playa Corralejo. This coastal beach boasts intense waters, high sand dunes and a constant breeze, perfect for kitesurfing, windsurfing and sailing. Relax, you’re in La playa de San Sebastián! This peaceful beach is an oasis of beautiful scenery and calm waters. Tourists that pick this destination can look forward to a refreshing dip in the sea and a relaxing break on the sand.